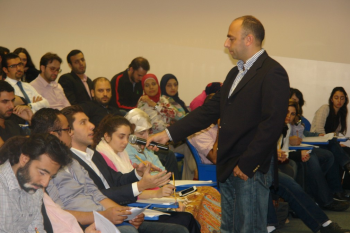 As Part of its “Keep Learning” alumni lectures program, the Alumni Relations Office started this academic year with: “Time Management” part I and II, on Friday October 25, 2013 and December 6, 2013 consecutively. The lectures were presented by alumnus and Hospitality Management instructor at LAU Mr. Hassan Chaker at the Business Building, Beirut Campus. Over 200 alumni and friends attended both events.